Meet our speakers! Videos online now! Get ready for the first TEDxESA! The first TEDxESA event will take place on 11 November 2015 at ESTEC, ESA’s engineering and technical heart, in Noordwijk, the Netherlands. 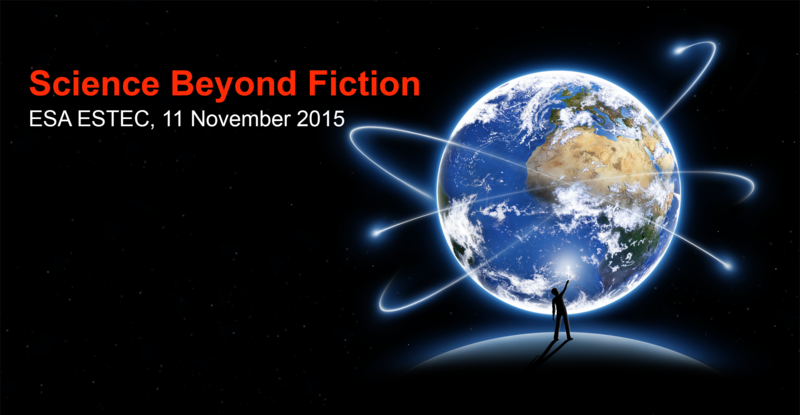 The theme of the TEDxESA 2015 event will be Science Beyond Fiction. We’ll take you out of this world and lift you into new heights. Let us take you on a space journey where ideas are worth spreading, and where science takes you beyond fiction. What seemed impossible yesterday, is reality today. Dreams become ideas. Ideas become concepts. And concepts develop into real opportunities. The future holds no boundaries – we need to stimulate our creativity and think beyond typical patterns and approaches. Be inspired, explore and challenge yourself to take the next step into a new world. Step on board and join us on this stellar journey at TEDxESA! ESA collaborates with TED, a global set of avant-garde conferences concept for thinkers and leaders in the ﬁelds of Technology, Entertainment and Design under the slogan “ideas worth spreading”, reaching out to millions over TED conferences and free online talks. In the spirit of TED – sharing ideas – TEDxESA aims at reaching out to new audiences, bringing up fresh ideas and challenging topics. TEDxESA will be a long-term communication platform, aiming to continuously reach out across Europe. Therefore, future events are planned to be held in other ESA establishments in the years to come. Follow and like TEDxESA on Facebook, Google+ and Twitter! SkyGeo is a high growth company mapping deformation dynamics anywhere on the surface of the planet, based on satellite radar data. We started the company to help engineers and asset managers understand millimeter-scale movements over reservoirs, pipelines, dams, railroads, bridges, storage tanks and even entire cities. I am the co-founder and CEO of the company and I want to participate in the discussion at TEDxESA about what next generation satellites will look like and what that will mean for how we shape the future of earth observation. And we want to actively help Delft grow as a center of excellence for earth observation. This is great news. ESA on TEDx!!! I am Gabi, the owner and the founder of cryptospaceinitiative.org project . I am writing to you as I have one project that can help ISS- International Space Station and the students that want to attend to NASA’s space programs. Space Station to process huge amount of data much faster. processing. And I am talking about computer farms with Petaflops of CPU power available. But, what if we launch a constellation of satellites that are in permanent sync with the ISS, then, the ISS can send the data much faster for processing. Hope to get a seat at this awesome event.